MILAN: Napoli moved back to within six points of Serie A leaders Juventus on Sunday as goals from Adam Ounas and Lorenzo Insigne clinched a 2-0 win over Sassuolo, while Inter Milan took third by beating SPAL. Carlo Ancelotti's hosts slipped off the pace last weekend with a loss to Juve in Turin, but managed to avoid dropping further adrift, after the embattled Cristiano Ronaldo scored in the reigning champions' victory at Udinese on Saturday. "We played some really good football today, even if Sassuolo were not an easy opponent to deal with," said Ancelotti. "I am going through a good period of form, I hope to continue like this and to keep scoring regularly, but aside from all that, I really hope Napoli can go all the way in every competition," said Insigne, who also scored the winner against Liverpool in the Champions League on Wednesday. Napoli finished the game playing against 10 men, after Sassuolo wing-back Rogerio's late red card. Captain Mauro Icardi scored both Inter's goals. The Argentine opened the scoring in the 14th minute with a header which glanced off SPAL's Johan Djourou before adding a second off an incisive pass from Ivan Perisic 12 minutes from time. Simone Inzaghi's Lazio went into the match looking to bounce back from their 3-1 derby defeat by Roma last weekend, and did just that to leapfrog their beaten opponents in the table. "Today we saw the real Lazio, the team with heart that battles hard, that wins duels and games," midfielder Senad Lulic told DAZN. "If we play like this, then we can beat anyone. You could see today how hungry we were for the three points." 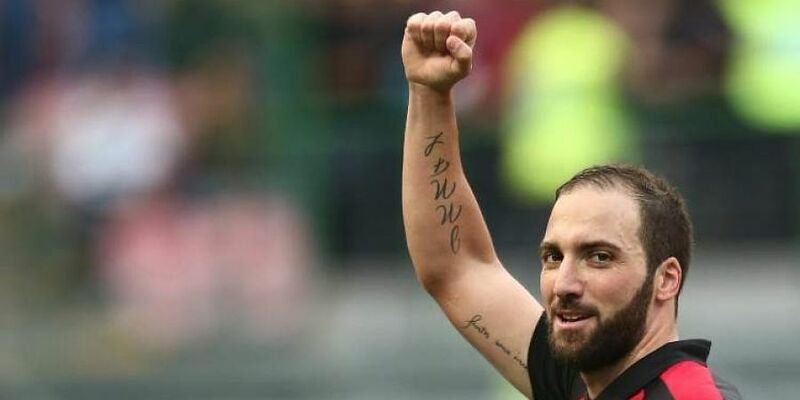 "Higuain is a champion, a great finisher, a lad who at this moment is working really hard for the group, is demanding and also well-loved," Gattuso told Sky Sport Italia.